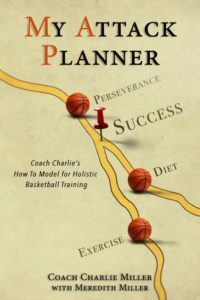 My Attack Planner is a holistic guide for your basketball journey. This book guides you step by step through your mental and physical conditioning along with providing a detailed nutritional guide to aid you on your journey. In addition to this book, you also gain access to online videos and worksheets. So whether you learn best by watching videos, reading, or writing, we have you covered. We have thought of everything so you don’t have to and laid it out in a user-friendly format that you can implement NOW. Use this book as your MAP and we will see you at destination success! The online videos that you have access to once you purchase the book will offer a complete guide to the skills that we teach at live camps, skills sessions, and individual trainings. Our basketball training videos are broken up into categories (warmups, one and two ball dribbling, layups, jump shots, etc.) so you can choose the category of the skill you want to practice that day. Or, you can choose videos from multiple categories to put together a complete 60 – 90-minute training session. Each video details the proper footwork and techniques to ensure you are performing the drill correctly and getting the most out of the training. We know that everyone learns at different speeds and in different ways, and we enjoy giving you the opportunity to grow your skills at home. Plus, you won’t be constrained by time but will be able to enjoy viewing the online videos at you and your child’s convenience. This will also give you as parents a better understanding of what your kids should focus on so you can help them practice at home. 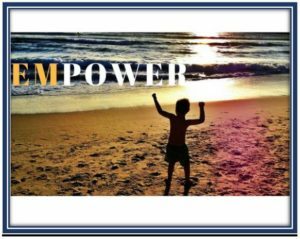 As a bonus, we would like to give you a FREE copy of our ebook Power On, written to empower every person, child and adult, alike. We do that by using our proven formula that we call TEST. TEST teaches you how U-turn your disempowering thoughts into empowering ones. U-turn your thoughts, U-turn your life! Enter your email address below to get the FREE ebook.